(250) 590-6346. Reservations are a good idea. We arrived to a brunch menu and had oatmeal pancakes with coconut whipped cream and pear sauce. 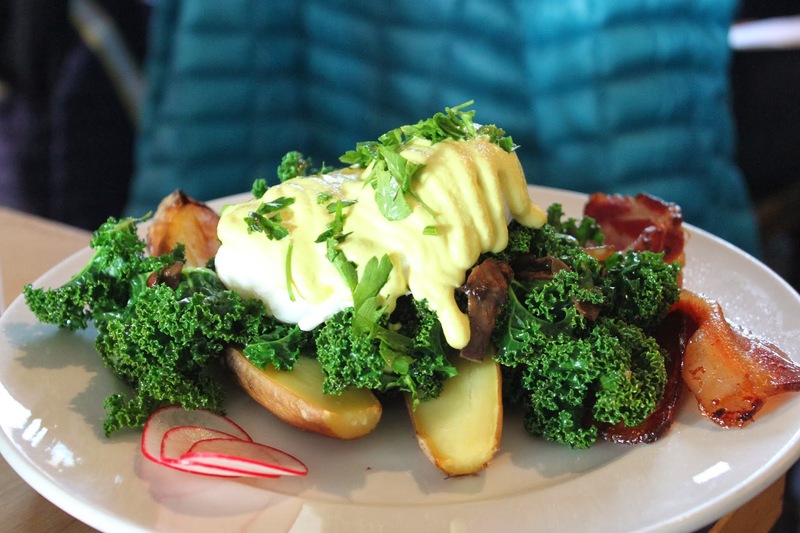 Also ordered was a Eggs Benny with kale and roasted mushrooms sitting on a roasted sweet potato and bacon added. The food was delicious. Nourish is on the grounds of the Horticultural Centre of the Pacific. We encourage you to take your friends and visitors out to this great little Bistro. You will be glad you did. For more photos go to our Facebook page.